It’s winter, that’s for sure. We just want to be frolicking in a field with the sun shining down on us, but we can’t. So instead we’ll watch this dog do it. At least now our hearts are warm. My dog doesn’t like everyone, which sometimes can be super embarrassing, or at least a little bit awkward. Nine out of ten times, though, my dog is right. Soon after he expresses distrust, I realize that the person in question is simply not the best. That’s because dogs can read subtle cues that we assume they miss. It’s been proven by science! That’s because dogs can read subtle cues that we assume they miss. It’s been proven by science! Researchers at Kyoto University had 18 dog owners try to open a box. Each time, the owners were accompanied by two assistants, while their dog watched. Researchers divided the humans into three groups. — In group 1, one assistant was neutral and the other actively refused to help open the box. — In group 2, one assistant was neutral, and the other graciously helped open the box. — In group 3, both assistants remained neutral. Most pups refused treats from the person who was mean to their owner. Instead, they only accepted nomz from the neutral or helpful participants, indicating that dogs would put their own desires (a delicious treat) below supporting the emotional needs of their owners. Do you need a break to give your dog a giant kiss? We understand. We’ll wait here. Were people more graceful in the 70’s or something? Because finding a comfortable position in a bean bag chair is more difficult than tucking your bell bottoms into knee-high boots. Let’s not even mention trying to get up. If you plop down in a bean bag chair, you better hope you brought some cans of Tab, because you’ll be living in that chair until The Beatles come out with a new album. Who says that cats and dogs can’t be friends? Not these two, that’s for sure. This impressively nimble kitten escapes her cage to hang out with the doggo next door and it’s so puppin' cute. I’m pretty sure these two are the Cory and Topanga of the animal world. Which is to say this might be the love story of our generation and I will for sure be RSVPing to the wedding. Can we just get a moment of silence and appreciation for corgi butts? 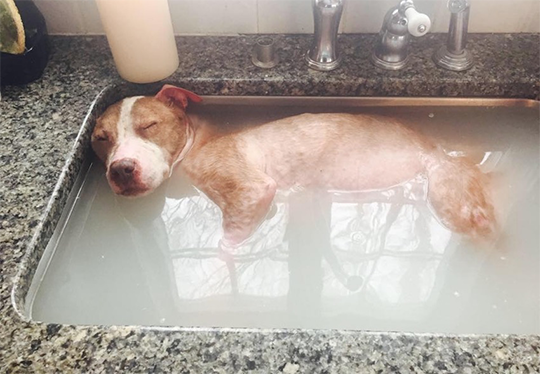 You may remember the video of a Pit Bull taking a bath that went viral. That Pit Bull, named Rudy, had been rescued from a horrible life, in horrible condition, and a combination of Cushing disease, a fractured leg, and slipped discs in his back made it too difficult and painful for him to go on. After eight of his best months on Earth, he was humanely let go by his rescuers at S.N.A.R.R. Northeast. S.N.A.R.R. stands for “Special Needs Animal Rescue and Rehabilitation,” and the people at S.N.A.R.R. Northeast go above and beyond in rescuing animals in need. They save the toughest cases out there, the dogs with the most serious medical conditions, the paralyzed dogs, the severely emaciated dogs, the deaf and blind dogs, and so on. In other words, they save the animals that no one else wants; the ones most likely to be euthanized at a shelter on any given day. Check out S.N.A.R.R.N.E. 's website to learn more about how you can help them and the dogs they rescue, including donating to their cause. All donations are tax-deductible. 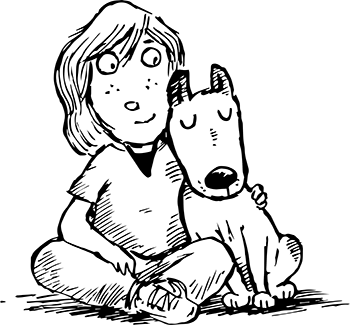 Share all these pup stories with friends! Be well and be woof!